By GNSS positioning a multipath signal is often considered an undesirable phenomenon that needs to be suppressed. A reflected GNSS signal (also known as multipath- ore scattered signal) is regarded as an error source that lower the positioning accuracy. But these scattered signals can be used in many remote sensing applications. The term GNSS Reflectometry (GNSS-R) comprises various remote sensing techniques. GNSS-R aims to retrieve information about the Earth surface by analysing the signals emitted by GNSS-satellites and captured the reflected signal by an elevated platform. The system has the characteristics of a bi-static radar and scatterometre, at L-band (microwave). 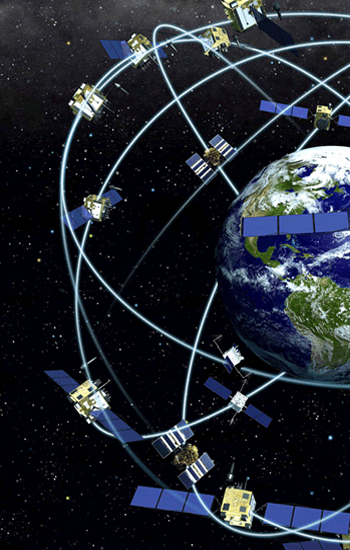 In this process, the GNSS L-band satellite acts as the transmitter and an airplane or low earth orbit (LEO) satellite, as the receiving platforms. For altimetry applications, a GNSS-R receiver can also be placed on the land.